Keep your grill clean and maintained. Get used to cleaning your grill lightly before each cook, and then heavily about once or twice a year. Grease and oils can build up on the tops and bottoms of the grate, becoming rancid in warmer weather and imparting "off" flavors to your food. Use a putty knife and wire-bristle brush to clean food and debris from the tops and bottoms of grates or rods. Use a scraper on solid grill panels. In your heavier cleaning sessions, try using an enzymatic cleaner specially designed for grills. Enzymatic cleaners will do a quick number on soot, ash, and particulate buildup without leaving any soap residue for you to taste when you bite into your first pork chop. They get much hotter. Hotter grills mean quicker cooking times when you're ready to put food to grill. They burn wood, which imparts more flavor. One recent study found that burning charcoal released a compound called guaiacol, which has a smoky, bacon-y aroma. They seamlessly allow for smoking, which imparts even more flavor. They offer the primal thrill of actually burning wood. Try to cook with thicker cuts of meat. Assuming you're not trying to cook really big pieces of meat — more like porterhouse steaks and pork chops — thicker is better. Why? Thicker cuts give more of the perfect bbq combo: Crispy, seared outsides and tender juicy insides. A thicker steak, for example, has time to develop a nice brown sear over lower heat while the inside of the steak cooks. By the time a thin steak develops a hearty crust on the outside, the inside has cooked completely. Simple rule of thumb: Buy steaks that are between 1–2 inches (3–5 cm) thick. Stick with simple seasonings. Salt and pepper are the two seasonings you'll get to know best on your quest to become a better griller. These are the two necessary ingredients for most cuts of meat. Everything else is incidental. Sometimes, a smoky rib rub is just what the doctor ordered. If you bought a nice cut of meat, a lot of crazy seasonings and flavors will just detract. Salt your meats about 40 minutes in advance of grilling. Salt draws moisture out of the meat. This occurs almost instantly, so, if you apply salt just before you grill, the salt pulls moisture out of the meat as you cook it. This does not create succulent meat, but, if you allow enough time before searing the meat, the salt-flavored moisture re-enters the meat, leaving it succulent and properly seasoned. 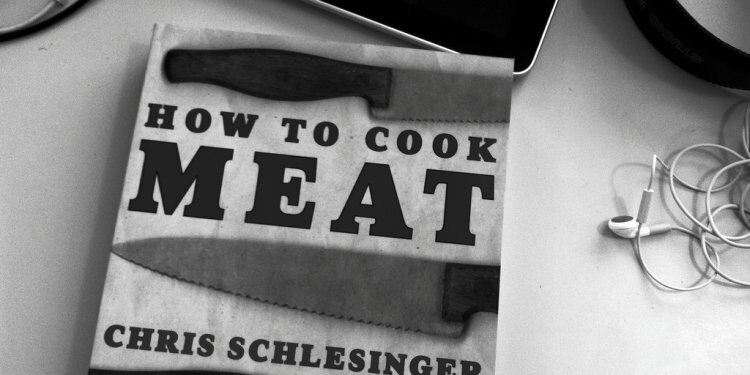 This is one of the the bits of knowledge that will help you achieve grilling success! Consider adding pepper after you finish grilling. Pepper can burn easily, giving an "off" flavor. To avoid this, crack pepper over your steak while it's resting, just before you serve it. Employ a 2-tier cooking system, cooking low and slow. The key to getting rich, smoky flavor when you barbecue is to cook food slowly over a low, indirect heat until it is almost ready; then, finish it off by searing it over direct heat. To do this, you want to keep your coals or briquettes on one side of your grill — the direct heat side — and keep the other side — the indirect heat side — free of coals. Cooking over indirect heat with the lid closed will produce both convection and radiant heat. The outside of the meat grabs convection heat from all sides of the covered grill, converts it into conduction heat, and sends it evenly into the center of the meat, cooking it gently. Invest in a quality set of barbecue tongs — but don't worry if you need to pierce the meat in order to flip it. A pair of tongs will be easiest to use and least invasive when it comes flipping your steaks. But one prevailing barbecue myth is that you shouldn't stab your meat with a fork in order to flip it because it will accelerate moisture loss. In fact, the moisture loss is really small when you get down to brass tacks. That's because a steak is like a collection of a thousand tiny water balloons, each filled with moist juices, and stabbing the steak with a fork to turn it only ruptures a few of those water balloons. Bottom line: Get tongs if you can, but don't sweat using a fork if you need to. Let your meat rest for 5 to 10 minutes after it's done cooking. Heat causes the muscles of meat to contract, sending the juices to the center of the meat, where it's not as hot. If you cut into a steak right after it's been removed from the grill, all those juices will simply spill out. If, however, you give the steak time to "rest, " the muscles will relax again, allowing the juices to float freely back through the whole piece of meat. Let the meat rest for a better, juicier meal.